Blogs - Clock - Loch Ness Monster history and myths discussed and debunked! This page is a representation of many myths surrounding the Loch Ness Monster(s). This article was created because there still are many people that still believe in this theory. We are willing to discuss pretty much anything there is, conspiracies, misconceptions, and so forth, it really depends on the specific contributor writing the content. It just feels good to not have to look at various conspiracies all the time, and look at a very fun urban legend. Let's get started. The origin of the Loch Ness monster dates from the 6th century, by writer Andoman in his book Life Of St. Columba. Scotland was the home of the Picts society. St Columba could not help but notice that they were burying someone in the ground, near the River Ness. When asked why, they responded that the man, while swimming, was attacked by some sort of "water monster", who dragged him under. They tried to rescue him by boat, but only managed to get to a corpse. 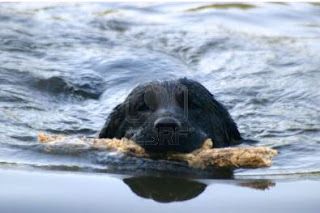 Columba decided to see if this theory was true by having one his followers swim the entire river. Upon coming back, the beast came after him, but luckily for the follower, Columba showed the sign of the cross and told it: "Go no further. Go back at once." The monster halted, and swam away in terror. On November 12th, 1933, Hugh Ray was walking along the loch when he saw a strange figure inside of the water. The figure rose up from the water. Ray took many pictures of the thing, and sadly only one picture turned out after being developed. Ray has said that the four stumpy-looking objects on the bottom of the creature's body might possibly be a pair of appendages, or flippers. The Hugh Gray "dog" appears to be missing half of its face on the right. There is no recognisable eye or ear to fill in the complete picture. There is a splash to the right where the ear should be. I don't see how they can be accommodated in the Gray image even by my over zealous visual cortex. He then alternatively suggests that it might just be some sort of Loch Ness. The researcher suggests that this is the best and most accurate picture of a the Loch Ness, or at least a similar species such as a Parabodia. I've not seen any other information on this photo, and Roland Watson has proved that it is not a dog. However, this does not necessarily mean that we have a case of Loch Ness here, after all, it is a very grainy picture. This is probably the most popular photo of the Loch Ness to ever be released, just like that Patterson-Gimlin bigfoot film. He published the picture in a local newspaper, and Wilson, refusing to be associated with this picture, led to it being entitled the "Surgeon's Photograph"
No real study had been made of the picture until 1984, when Stewart Campbell analyzed the photo for an article in the British Journal of Photography. Campbell concluded that the animal depicted in the photo could only be around 2-3 feet long, and that it was an otter or a marine bird, which was likely that Wilson knew about this. However, this turned out to be wrong as well, as finally in 1994, the whole story was spilled out. Christian Spurling, age 90, confessed his entire story. Spurling had been confronted by Marmaduke Wetherell, his step father and a big shot hunter who had been ridiculed publicity in the Daily Mail, to make a convincing serpent model. The model was made, and then attached on top of a toy submarine, and then photographed. They decided to make Wilson as the front man to this plan, since he was a Surgeon, in order to make the story seem more convincing. This was covered in the 1999 book Surgeon's Photograph: Exposed! The .GIF provided above is a sample of what the film looks like. There also contains a nice zoom which helps us to better understand what is the object. 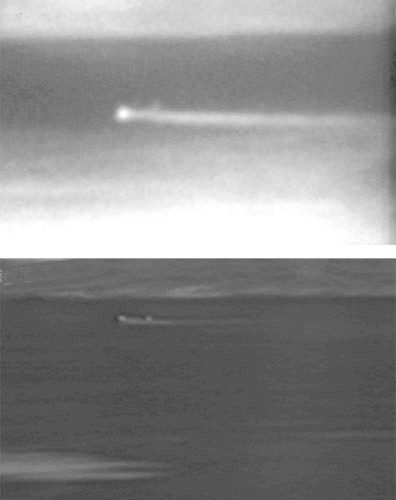 Tim Dinsdale an aeronautical engineer, filmed a hump crossing the water leaving a powerful wake in 1960. Dinsdale supposedly spotted the animal while hunting for it, and described the object as reddish with a blotch on its side. When he mounted his camera the object started to move and said that he shot 40 feet of film. "that their measurements were flawed by inaccurate height data for the camera site and inaccurate timings for the speed calculations. 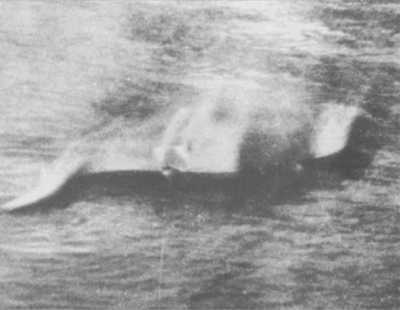 Their conclusion that the object was "probably animate" was based on the fact that a non-planing boat hull around 14 feet long could not achieve their calculated speed of 10 mph, but tactfully avoided the problem of how an aquatic animal could do so on the surface with a substantial part of its body above the water, for a period of several minutes." Remember that the grain in each image is random, but "real things" in the image will be in the same place (more or less) in successive frames of a movie film. The grain is termed "noise", the real things are termed "signal", and Image Stacking improves the signal to noise ratio - the "SNR". In its modern, digital, process it is done like this: A number of consecutive frames are scanned into a computer and then laid on top of each other in a program like Adobe Photoshop, with each frame made almost completely transparent. These images are assembled in "register", which means some object clearly visible is always in the same place in the new image. As more and more frames are "stacked" on top of each other the random film grain blends into a mid grey tone, but "real things" which are darker or lighter and present in all frames will build up in intensity. 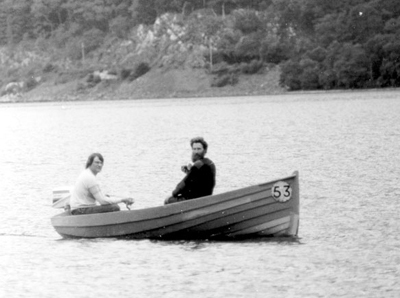 [It is] a similar disc on a similar boat is shown below - photo reproduced courtesy of Adrian Shine. At 9 a.m. the sun is in the south-east, directly behind Tim Dinsdale's filming location, and the licence disc would have been acting almost like a mirror. Conclusion Debunked!!! (To me, it all makes sense, and the explanation provided is proven.